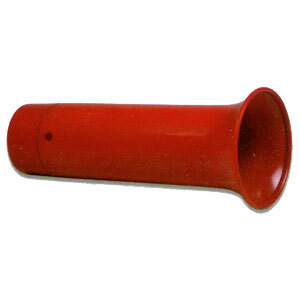 The megahorn is an effective mouth horn for use in fire safety and other emergency situations. Simply blow into the hole on the side of the horn to emit a 105db alrm sound. Non-corrosive, durable red plastic construction.